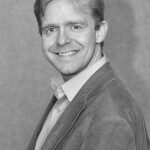 A frequent guest of opera companies in Germany and the UK, recent and current engagements for Nicholas Sales include his critically-acclaimed interpretation of Almaviva in Opera North’s production of Il Barbiere di Siviglia; Don Ottavio Don Giovanni for Theater Lübeck; Ferrando Cosi fan tutte for the Komische Oper Berlin; and Grimoaldo Rodelinda, Tamino Die Zauberflöte, Lurcanio Ariodante, Arturo Lucia di Lammeroor, Froh Das Rheingold, Handel Belshazzar and the Italian Tenor Der Rosenkavalier at the Opernhaus Halle. Born in Staffordshire, Nicholas Sales made his debut at the Buxton International Festival. His early career included collaborations with several companies including Almaviva The Barber of Seville with The Opera Project; Ferrando Cosi fan tutte with The Pocket Opera and English Pocket Opera; Bastien Bastien and Bastienne and Fernando in Haydn L`Isola Disabitata both with English Pocket Opera. His international engagements have included Paolino in Cimarosa Ilmatrimonio Segreto for the Les Azuriales Festival. More recently he has appeared as Alfredo La Traviata for Nottingham Festival Opera, Nemorino L`Elisir D`Amore for Midland Music Makers Opera, as well as several Gilbert and Sullivan productions for the Carl Rosa Opera Company over recent Seasons. In 2004 he sang the roles of Ramiro La Cenerentola and Belmonte Die Entführung aus dem Serail for Diva Opera, and Don Narciso Il Turco in Italia for Buxton Festival (he covered the last role for the Royal Opera Covent Garden in May 2005). Most recently he sang the title role in Mitridate, Re di Ponte in a concert performance for Welsh National Opera under the baton of Sir Charles Mackerras. His oratorio appearances have included Händel Messiah at The Royal Hall, Harrogate, Mendelssohn Elijah at Ripon Cathedral, Haydn Creation in Birmingham’s Symphony Hall and Carmina Burana in Derby. His extensive concert experience has seen him perform throughout the UK and Europe including the National Festival Orchestra and Nottingham Festival Orchestra and chorus, performing the music of Mario Lanza. Other concert work has included a trip to Tokyo and opera galas in Guernsey, Brussels and London. Recent engagements include Belmonte Die Entführung aus dem Serail for Teatro del Lago in Chile, Rossini Stabat Mater and Schubert Kantata D472 with the Ulster Orchestra and Boyar Boris Godunov for Royal Opera House, Covent Garden and at the BBC Proms.